Preheat oven to 350 degrees and move oven rack to lowest position. Line a 9x13 baking pan with parchment paper and spray with nonstick cooking spray, this will help you get the super chewy brownies out of the pan without crumbling them. Combine cream cheese, butter, sugar, egg, and irish cream and mix until smooth, set aside. Whisk together cocoa, espresso powder, and boiling water until the chocolate is melted. Whisk in melted butter and oil. While continually whisking, add in eggs, yolks, and vanilla until mixture is smooth. Add in sugar until completely mixed in. Slowly add in flour and salt, then chocolate chunks and mix with spatula until combined. Pour brownie batter into prepared pan. Drop spoonfuls of cheesecake filling into brownie mixture. Using a knife, swirl the brownie batter and cheese filling together. Bake for 35-40 minutes or until edges of brownies have browned. Transfer to a wire rack and cool completely. Lift brownies out of pan and refrigerate till chilled. Cut brownies into however you can handle it and serve chilled. Well, I have to admit, my sweet cream brownies were not as seductive as those of the Nordstrom Cafe, but they were pretty delicious. I kept mine in the fridge the entire time as they live up to their chewy name and because they were so rich, I ended up cutting them in half. I used the best chewy brownie recipe I have ever tried, Brown Eyed Baker did all the research and found a recipe for brownies that are meant to taste like those yummy store bought boxed brownie mix. I mixed her recipe up with the cream cheese filling of Sinful Southern Sweet's Boozed up Brownies. I wish I could have shared them with all you, everyone is so sweet and supportive in their comments, it really makes blogging my projects fun. 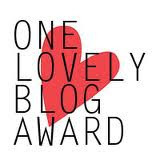 I received a few blogging awards while on vacation and wanted to say thank you to Chef Dennis of MorethanaMountful for "A Blog with Substance" award and the "Stylish Blogger Award" and Lisa of KoreanAmericanMommy for the "Sunshine Award". Thank you both for reading and enjoying my blog! Now to pass them on to the bloggers that inspire me. 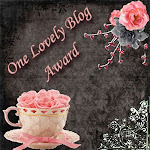 To Sarah at Baking.Serendipity I would like to give the Blog with Substance award. She has really been a busy blogger and all of her recipes are right up my alley, many of them starred on my reader, so go check her out! 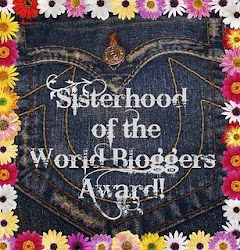 I want to give the Sunshine Award to MorelloCherry at Frosted Rosepetals, she is always so cheerful in her comments and her blog posts and is quite creative with recipes and her DIY posts. 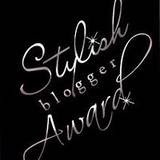 For the Stylish Blogger Award, I want to point you guys to Jessica 's blog TheNoviceChef, she takes some amazing photos and has the cutest blog design and banner. Yummo! Glad to have you back. Looks great! I love your picture of it all swirled. I can never get mine to look that good. Thanks. oh my!! these brownies look awesome! definitely a must try!!! YUM!! This looks soooo good!! I love how theres cream cheese in it!! It's like cheesecake and brownies all in one!! Woot!! These brownies look amazing!! It looks like you did a fantastic job on replicating the original. I could never do something like that. Your cream brownies looks absolutely delicious and congratulations on the awards. WOW I bet these are as tasty as they look!! Yummy! These look so good. I can just taste the fudgy chocolate! These look awesome! I'd say it was definitely a successful attempt :). I'm glad to hear you had a great vacation!! Now those brownies look so very very good! I love cheesecake and swirling it in even makes those more delicious! so ooey gooey chocolaty delicious....sigh....now I have to go make brownies..